"Lipstick, like perfume, is intensely personal. Shades become “signature shades”, and the type of lipstick you buy is often an extension of your personality and whole identity," stated Bea of LxEdit.com. I agree with her. I think lipstick reflects your character and personality. For my daily lipstick, I tend to use pink coloured lipstick. It can be light pink, bright pink or even deep pink depending on my mood and outfits. I guess I'm the Girl-Next-Door type, huh? Today's blog post is different than the usual outfit posts because I'm going to write a review about the three lipsticks that I just received from Luxola last week. They are pink shades lipsticks from light to deep coloured one. 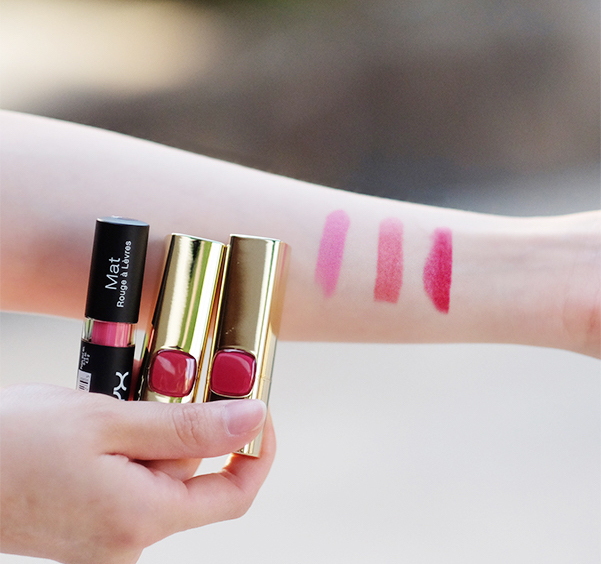 Starting from the right: NYX - Summer Breeze, L'Oréal M401 - Flirty Berry, and L'Oréal M405 - Pink Cerise. 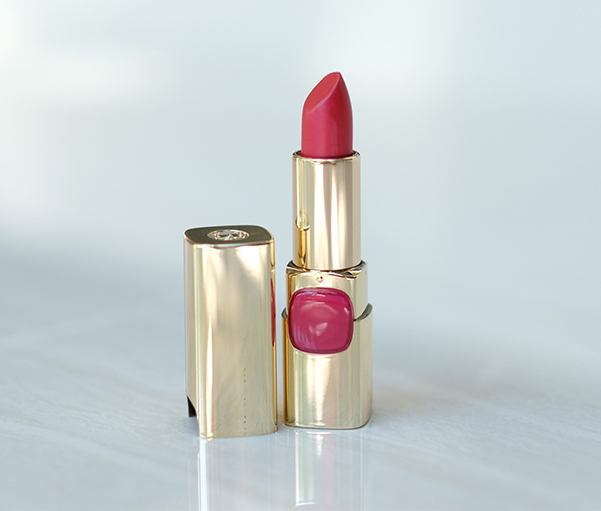 L'Oréal lipsticks have luxury feels with its gold coloured packaging starting from the cap to the base. 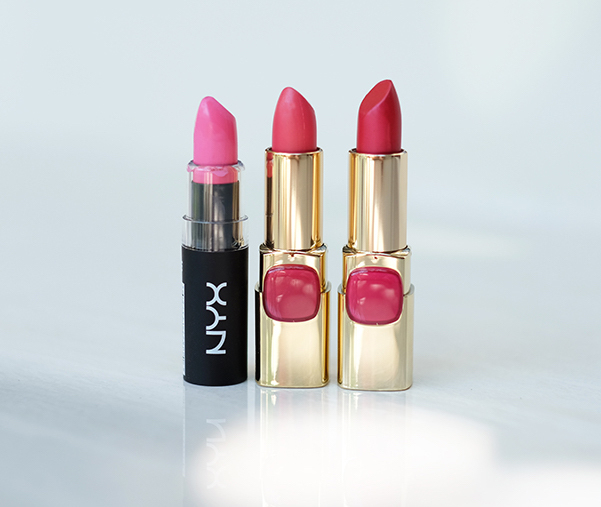 The Flirty Berry lipstick is a light pink coloured shade, but it is not as light as the NYX Summer Breeze one. The colour is a natural soft pink colour with a sheer finish. I would say, this one is a more natural looking pink that I can wear for everyday use. This lipstick contains nutrition oil, anti-dryness and vitamin E, which can help to moisturise dry lips. Plus, it also contains Lanolin and does stay long. I think the price is still affordable, which is Rp 129.000 or USD $10, and you can grab them from Luxola (here). 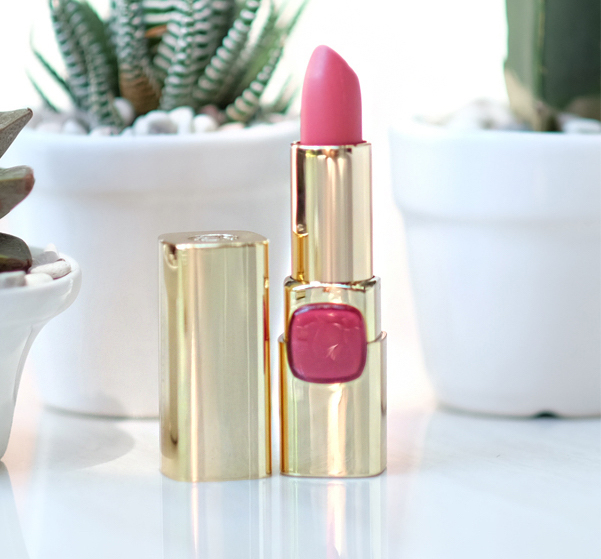 Last but not least, L'Oréal lipstick in Pink Cerise. This is my favourite one out of all the three lipsticks that I received from Luxola. The colour is between dark pink and red colour. At first glimpse, the colour does look very similar with the Flirty Berry one but it's quite different as this one is more darker when you put it on. I find that this colour makes me look more mature and sophisticated. For me, this colour is more suitable to wear for dinner or party rather than daily. 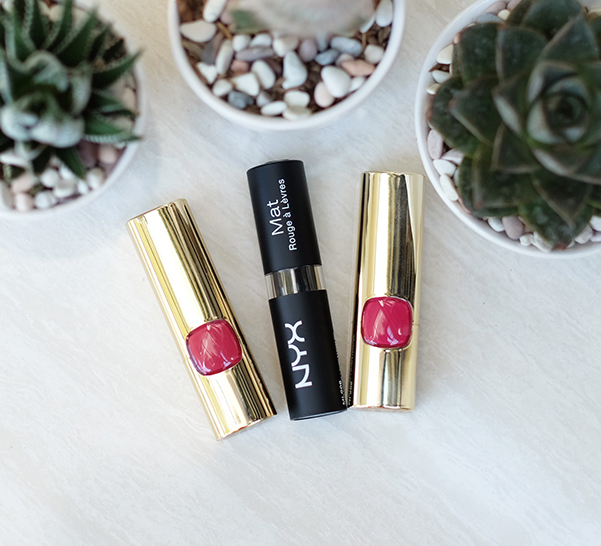 Same with the flirty berry, this lipstick stays long and helps to moisturise your lips. You can grab this at Luxola (here) for Rp 129.000 or USD $10. If you are still wondering what colour that suits you or simply wanting to know more about lipstick, Luxola has an online magazine that provides a Lipstick Guide to their readers so have a look guys! Hope my review helps! Get 15% OFF of your first order with Luxola.co.id! Just simply enter my discount code when checking out, which is BLX-DEASY. This voucher is valid until August 31st so hurry and make your first order with Luxola! They all suit you so much! 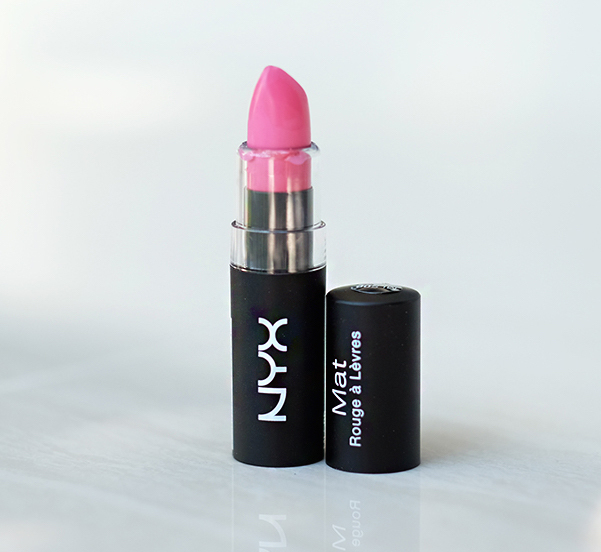 I think my favourite would also be Pink Cerise but the Nyx one also looks like a nice colour to try.